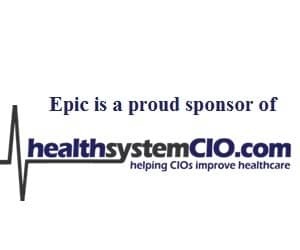 Saint Peter’s University Hospital, a 478-bed teaching hospital in New Brunswick, N.J., is working with McKesson to deploy a remote-hosted version of Horizon Clinicals throughout the hospital over the next 18 months. Among the technologies to be adopted are CPOE, patient records, barcoded medication administration and electronic documentation of patient care. In addition, the hospital will deploy an enterprise patient care visibility solution so clinicians can more easily track patient status. By using remote hosting, Saint Peters’ receives application management, datacenter, business continuity and disaster recovery capabilities. In its birthing center, Saint Peter’s will use McKesson’s perinatal care solution to integrate fetal strip readings with a mother’s EHR. In addition, the hospital’s 130 employed physicians will be connected in outpatient settings with a Web-based EHR. For non-employed physicians, Saint Peter’s plans to use the RelayHealth connectivity platform and patient-centric network to enable coordination of care. The hospital also partnered with McKesson to develop a medication management program that includes a “just-in-time” delivery of medications to all nursing units four times per day. Saint Peter’s has an existing relationship with McKesson for pharmaceutical distribution services and pharmacy automation. In addition, the hospital recently completed implementation of McKesson revenue management solutions.